Just Run - A Finished T-Shirt Quilt! Finally! This quilt and next week’s finish had a long journey to Italy (to an APO address! ), so although they were finished in October, it’s now time to share them. There’s over 50 shirts in this one, and the runner did her own layout with shirts every which way and lots of partial seams. And lots of shirts that say Aloha! Most of the shirts were from Hawaii races when she lived there with the military. Fun fact - we were both stationed in Spokane, but not at the same time. She was there in between our two assignments there. The backing and binding is this gorgeous herringbone from Robert Kaufman. Seriously, this double-napped flannel is amazing. I could rub it against my face all day. In fact, I might have enough leftover to make an infinity scarf so I can do just that. There’s also a few bits of Kona grays stuck in here and there as filler fabrics. 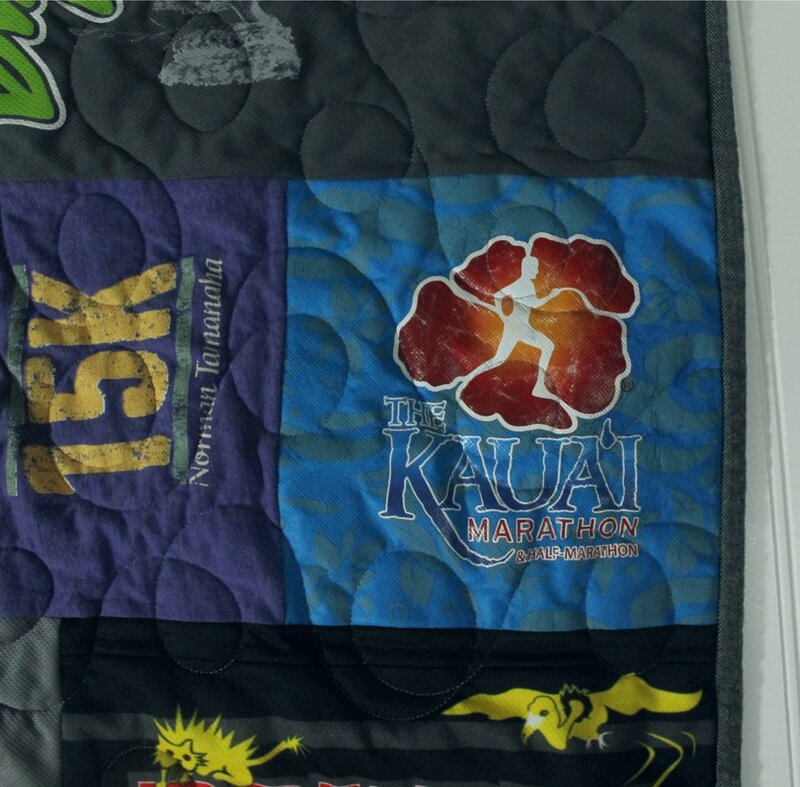 Luckily after three Minecraft quilts, I have an endless supply of bits of Kona grays!